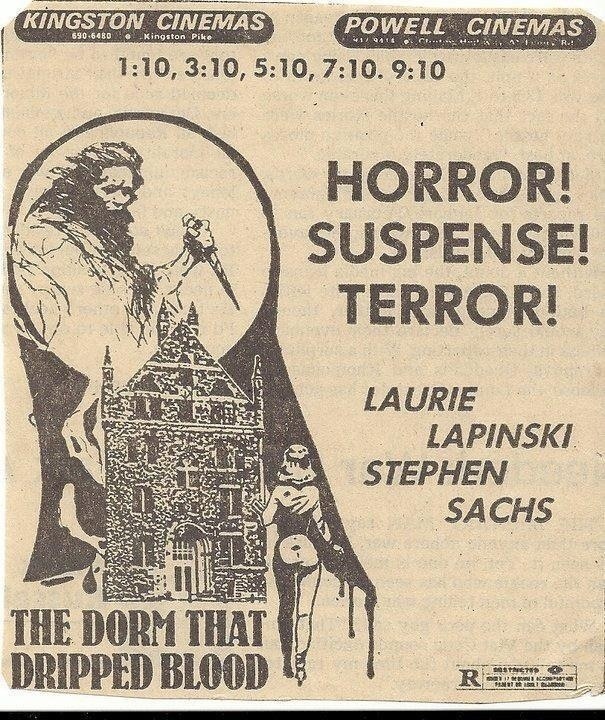 The Dorm That Dripped Blood was released in 1982 though some listings have it as 1981, but regardless this movie was released at a time when slasher flicks were dominating the market and it seemed every week there was a new one opening. 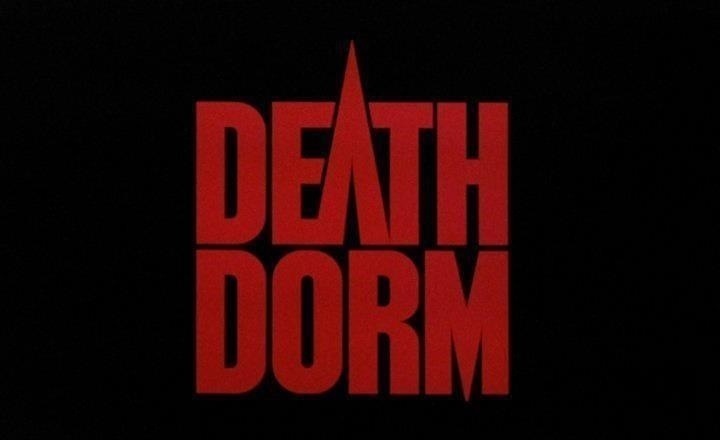 The Dorm That Dripped Blood, which also goes under the title Death Dorm and Pranks is one of the semi-forgotten films of the era and seeing as so many of these films were made there are gonna be ones that fall through the cracks. 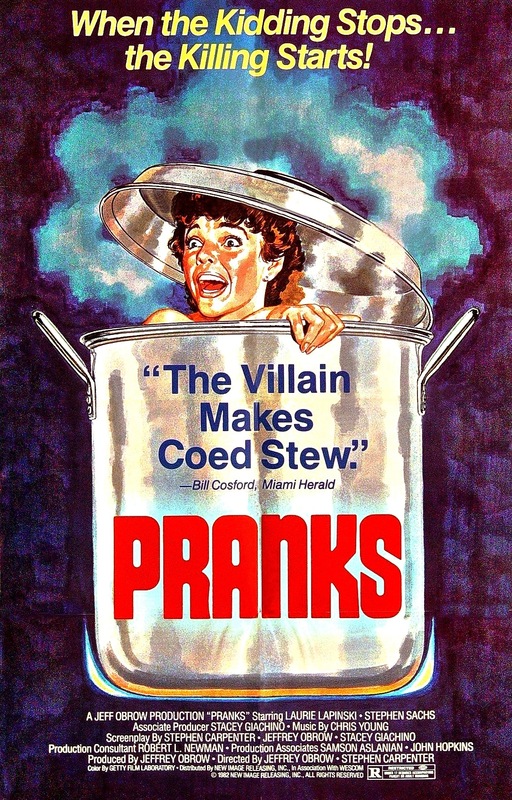 I originally saw this movie under the title Pranks, which is a heavily censored version of the movie and is missing about 8-minutes, which at the time I didn’t know. 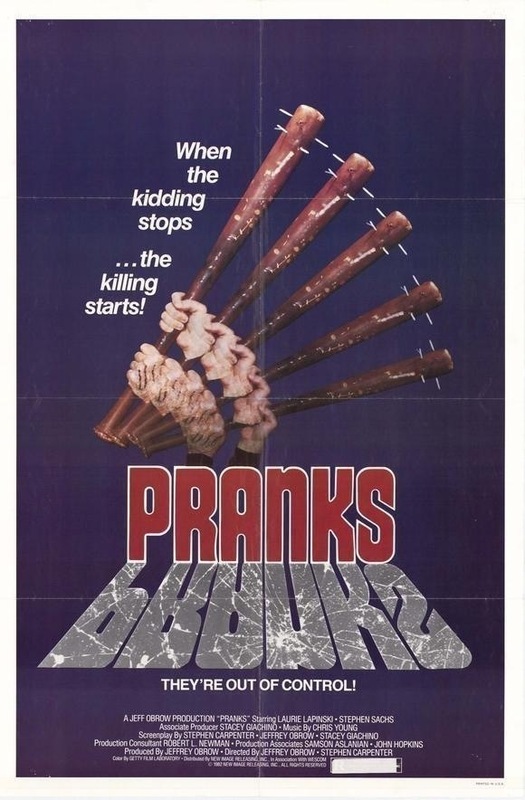 I didn’t hate Pranks, but I sure didn’t love it and I had no desire to see it again, but I gave in and decided to give it another try since the version I saw was so heavily edited and while Dorm That Dripped Blood wouldn’t rate as my favorite 80s slasher I’m glad I gave it another shot; I think the film itself is far better than its reputation and despite the cult following it has I think it deserves more of a following. 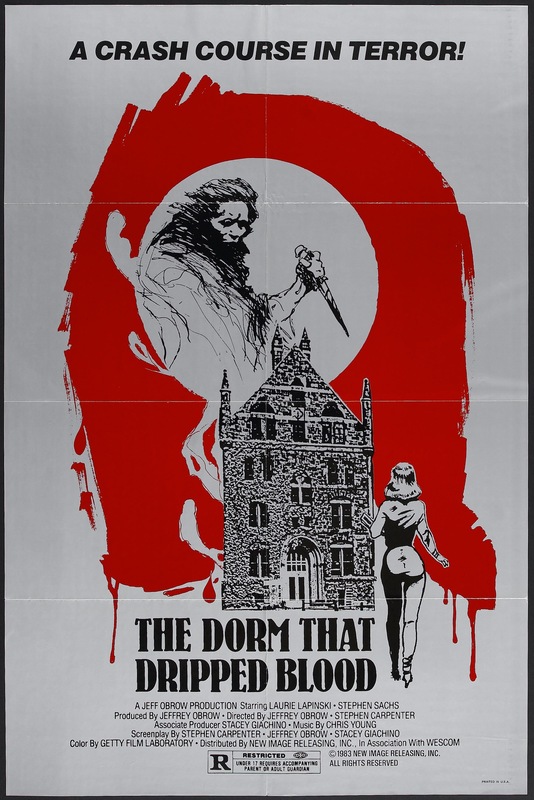 I wouldn’t rate The Dorm That Dripped Blood in my top 10 slasher films, but its one of those underdog films and it would have a place somewhere among my favorite slasher films. During Christmas vacation a few students stay behind to clean out the dorms that will be knocked down and a new dorm will be built. But unknown to the students staying behind is a killer has also stayed behind and has their sights set on them. The screenplay by Stephen Carpenter, Jeffrey Obrow & Stacey Giachino is your standard slasher flick, but well enough written in regards to other films of its type. The dialogue mostly seems like filler as the characters never really have anything important to say, but however they are fairly likable even if they lack depth. When going into a slasher film I don’t expect deep characters, but its nice when they have their own identity and here they do to a certain degree, but can also be a little interchangeable. I guess overall despite the short comings of the script and even if the characters might lack in areas I did for the most part like them and Joanne (Lapinski) does make for a solid final girl. Some of the problems with the script are the standard problems we see in slasher movies; the opening death scene for instance was just random as it was never mentioned again in the movie. There are some subplots thrown in that also never really go anywhere, but overall despite the flaws again the script is decent only hindered by being like the majority of other slasher flicks such as the weird creepy guy lurking around meant to be a red herring. 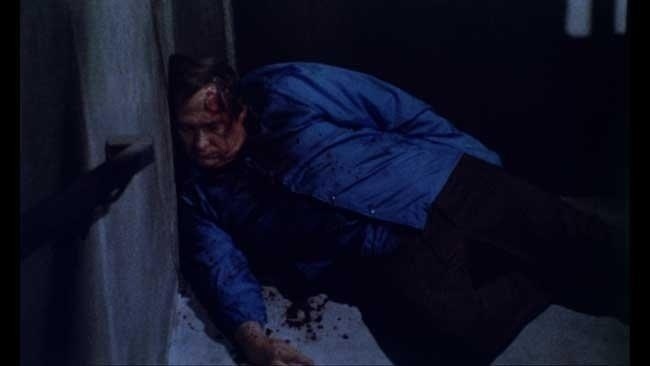 If anything my biggest gripe with the script is its one of those films where the killer remains calm and normal until reveled and then just goes off the wall insane. Directors Stephen Carpenter & Jeffrey Obrow deliver a mostly well-made slasher film on a very low budget. I think the fact it was so low budget in some areas helps elevate the film. It’s a little rough looking, which gives the film an eerie tone. The pacing of the film is fairly strong, but the 2nd half things can get a bit sluggish, but it never gets boring. There is a decent amount of suspense to go along with the eerie atmosphere. Carpenter & Obrow make good use of their locations and make a fairly standard place seem a lot more isolated and sinister looking. 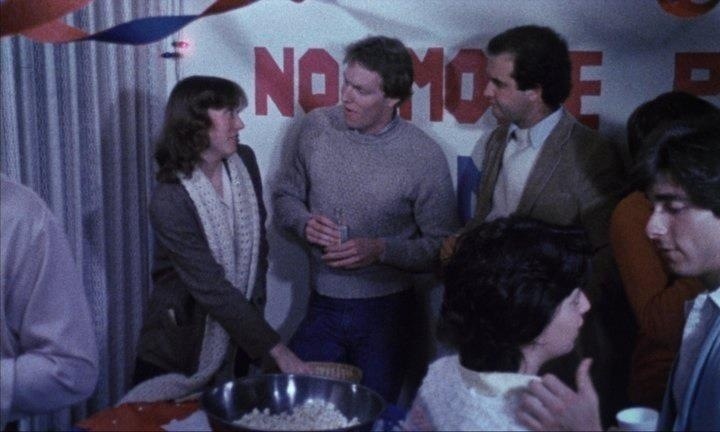 For first time filmmakers Carpenter and Obrow deliver a very entertaining movie that despite having a cult following again is better than its reputation. 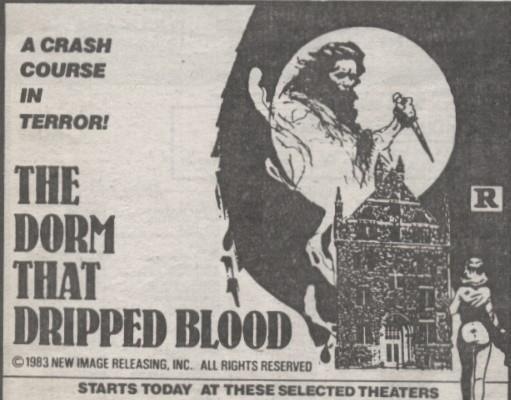 The one thing the Dorm That Dripped Blood has going for it is a truly excellent score by Christopher Young that really heightens the suspense. What the film is probably most noted for by those who have seen it is the off the wall ending, which is something most slasher films tend to avoid. You think to yourself no way the film is going to go there and before you know it the film does. It’s an unexpected ending and I’ll give credit to Carpenter & Obrow for actually having the nerve to do what they did with the ending. Overall The Dorm That Dripped Blood in an entertaining slasher flick and while the reviews from people that have actually seen the movie are quite mixed, which I fully understand and while the movie may not reach the heights of some of the more popular slasher flicks of the 80s I quite enjoyed this despite some of the shortcomings. 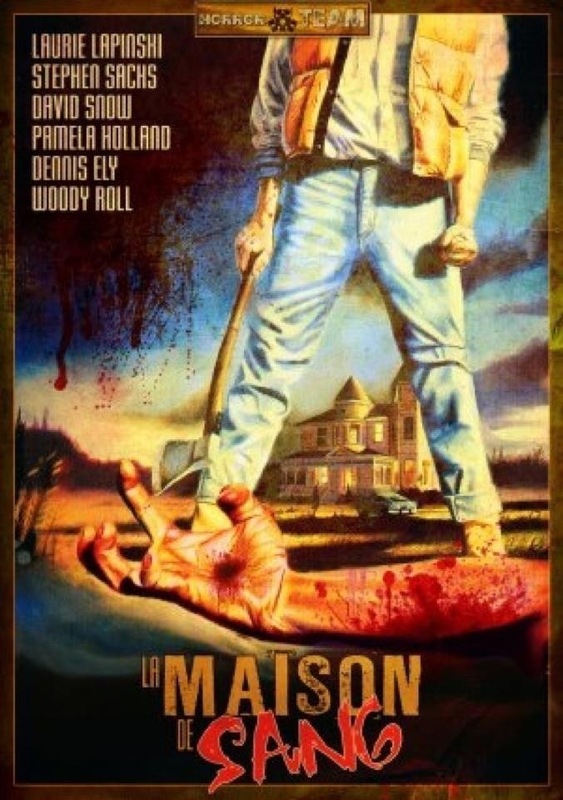 Like I said this one has that 80s slasher low budget charm and even if this isn’t one of the elite slasher flicks of the 80s I still enjoyed it. This movie also marked the acting debut for Daphne Zungia; for some reason her 1984 slasher flick The Initiation in the credits has it as introducing, but that’s a mistake as she did this movie first.